One of the best things about being part of the project team launching the LGBT Foundation and preparing for the LGBT Token Sale is the people involved. We’ve assembled an incredible team of advisors and project leaders passionate about our mission. We’ll be introducing you to that team in a series of interviews for LGBT Foundation. 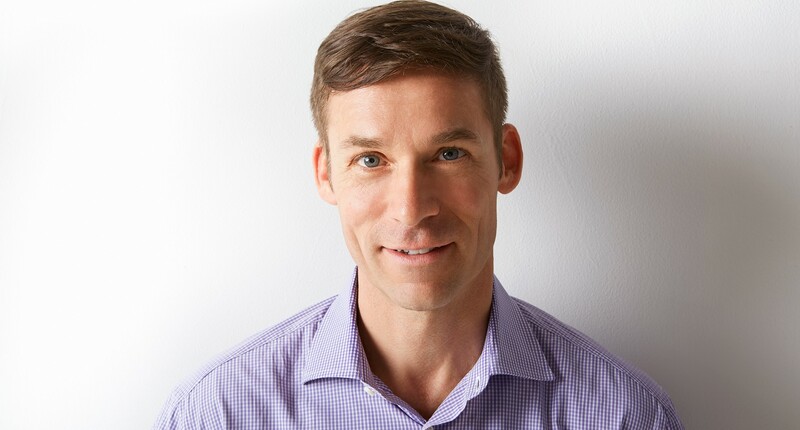 This week is project advisor Andres Wydler, executive director of the San Francisco-based StartOut, a national nonprofit that empowers and supports LGBTQ entrepreneurs. How did you end up becoming the executive director of StartOut? I’ve been running it for close to two and a half years. I’ve been a serial entrepreneur; I have basically 20 years of entrepreneurship under my belt. When I was asked to run the nonprofit, I thought it was a wonderful opportunity to give back to the community and at the same time take advantage of my experience with early stage companies and startups. With that 20-year career in startups, I also had a angel [investing] group that I co-founded, and so it was the perfect match to combine my passion with my expertise. What did your entrepreneurial life look like before then? I came out of Stanford Business School and previously law school in Zürich—hence the accent [laughing]. I’ve had a great number of successes and failures just like anyone else. The angel group then came out of a cooperation of clients who wanted to invest in some of the opportunities they saw in working with European investors, who were also interested in transatlantic opportunities both ways. That went extremely well. I also developed a course on clean tech entrepreneurship that I taught at Stanford in the Continuing Studies program. That was super exciting because it harnessed the power and the enthusiasm of people in Silicon Valley for the benefit of a cleaner environment. Through all of that, I got exposed to some fantastic people and incredible innovators, but was still very engaged in most of the clean tech companies I dealt with. When I had the opportunity to separate from some of those businesses, I joined StartOut. StartOut was founded close to nine years ago, and we have 15,000 members now. Our goal is to economically empower our community. We’re very closely aligned with some of the goals of the LGBT Foundation. We focus entirely on supporting the LGBTQ entrepreneur with actionable advice, inspiration, and with a network to accelerate their success. Can you tell me a little bit about the accomplishments of StartOut that you’ve been particularly proud of? With pleasure! We have expanded to six chapters and, again, we have those fifteen thousand members. But more important than that is the quality of the network. We are pretty groundbreaking in terms of having built a fully scalable online portal that acts like a private LinkedIn for our community. We have a fully scalable investor portal for early stage companies, from debt to equity. And we developed a mentorship program that has a phenomenal success rate, close to 100% reengagement of the mentors. We’re embarking now on a major visibility drive to inspire others, specifically in areas where it’s still legal to fire someone for being LGBTQ. It’s a major outreach program to basically level the playing field for LGBT entrepreneurs [as compared to] their white, straight counterparts. How do you see empowering the LGBTQ community to jump into business impacting the economy? It’s unquestioned right now that entrepreneurship in the U.S. is on the decline. There’s tons of data out there. Excluding certain groups, the LGBTQ community being one of them—others are veterans, African-Americans, women entrepreneurs; so we’re not alone in that—but excluding any of those groups has a direct impact on a GDP. In other words, the economic value creation and the GDP increase is being harmed by the tax on being “different.” It makes no sense for neither our community nor society as a whole. So there’s untapped potential there. That potential is measurable, and we can gauge it by measuring what our community’s contribution to economic output is. What we know anecdotally and with some data already published in our research, is that there is a significant upside in being inclusive, because diversity is profitable. It’s hard to measure exactly how much our community will increase that GDP at the moment, but the increase is significant. Measuring that economic impact is part of what the LGBT Foundation hopes to achieve. How did you become involved with the Foundation? Christof [Wittig, co-founder of Hornet Networks and LGBT Foundation president] has been a member of StartOut for a long time, as has Sean [Howell, co-founder of Hornet Networks]. We had conversations about Hornet and other ideas [Chris] had for other projects. So we’ve followed each other’s progress for about two years. It’s been a longstanding relationship. Obviously our audiences overlap in many ways, so it was a natural match for us to support the idea of the LGBT Foundation. How important is it for an initiative like the Foundation to address the needs of the entire spectrum of the LGBTQ community and not just the white, gay male demographic? It’s true that certain subsets of white, gay males have done very well. But [in regard to] the vast majority of LGBTQ people who don’t come out because they’re afraid of losing their jobs, we can’t even measure them. That’s a really important point: We, as a group, are not considered a minority so we’re not measured. While some groups [within the LGBTQ community] have done well, as a whole we’re still at a massive disadvantage—up to a 25% difference in earnings. So the tax on being even a white, gay male is still considerable. But it’s absolutely important to remember we’re not just one homogenous group. Like any group, there are many flavors, and the same is true with LGBTQ people. For each one of those subgroups, we need to be supportive. It makes sense to combine some of them, like the L, the G, the B, the T, the Q, and the other letters, because we’re stronger together and have more of an impact. We can have more of an impact on policy, on perception, on gaining the respect we deserve for our contributions, so it makes sense to take a somewhat broad approach. But at the same time, we have to absolutely make sure to consider the needs of each subgroup and come up with the right balance of services and support of each one. In my interview with George Ayala, we discussed that support for LGBT initiatives is waning because people outside the community see it as a box we’ve checked off. What’s the danger in that? We discovered two interesting things in our findings [with StartOut]. First, a third of LGBTQ entrepreneurs are not out to their investors in the funding process. You start out with a lie—or an omission, I should say—in a process where the relationship will determine whether or not you get funding. So already, a fundamentally huge disadvantage. Another data point is that over the last ten years, over a million jobs moved from discriminatory states to accepting states. That is economic activity that could have been harnessed in those discriminatory states, in a discriminatory environment for our community, and that’s a direct loss to both those states and our community. It’s clearly not the case that discrimination is over. There may be some pockets where it’s more accepted, but even here, in San Francisco, we see that LGBTQ people traditionally don’t get the level of access to Sand Hill Road¹ as white, straight men. So there’s a ton of work to be done. I’m super optimistic that with organizations like the Foundation, like the LGBT Token idea, like StartOut, we can make a massive difference and accelerate leveling the playing field. How important is that identity protection layer then for the LGBT Token initiative? Do you think it will enable people like the professionally closeted entrepreneurs you mentioned to come out without fear of reprisal? Within the confines of regulatory developments, absolutely, yes. It’s hard to tell right now whether security tokens will be permissible or, to an extent, how. It’s the Wild West right now in terms of security tokens. However, utility tokens, that’s another story. I believe that in terms of self-certification—who you are, who you want to do business with—it gives you the power to choose who you want to do business with instead of merely being the object of business interests. That will certainly open up new opportunities, new connections, and better matches between investors and entrepreneurs. To that extent, I think it’s a wonderful idea and can be very successful. Of course, it remains to be seen how exactly it can be adopted, but that goal is what we’re trying to support. What is it about the potential of the Foundation and the Token that most excites you? To me, it was the LGBT Impact side. We know the LGBTQ community is giving back less than society as a whole in terms of philanthropic donations, but it also still needs more support. So I think it’s exciting to utilize the economic power that’s intrinsic in this Foundation idea and put it to good use. It’s the right way to go. It will make it easy to support our community by simply doing business as usual, and to do something good with that economic power. It makes no sense that there are double, triple bottom line investment opportunities that are leaving out the LGBTQ community. So this is a way of including our community’s economy in philanthropic activities and impact activities through every day, easy conduct of business. A road in Menlo Park that is notable for its concentration of venture capital companies; it’s since become metonymic with the industry itself.